I – Don’t make it yourself! This may sound obvious, but even if you’ve become adept at editing your own videos due to necessity (see nearly every blog I’ve written in the past 4 months) there is absolutely NEVER a reason to make your own demo or speaker reel. Yes, you can contribute to it, you can suggest edits and what you want in there, but please don’t do it yourself unless you’re an absolute video genie. When an artist records music in a studio, they play the song, get it all figured out, and then they send it to another engineer to “master” the recording. It’s someone with fresh ears who then gets it ready to really shine with things you as artist didn’t notice needed to be louder, softer, etc. Let someone else “Master” your video. II – Watch videos of those you are losing work to! These are the people you are getting skipped over due to your video and potentially your content. When I took a real hard and honest look at who I was losing events to (as I’d ask the client, “Who did you pick instead of me (fool!)”? ), it was sobering to realize I didn’t stand a chance either due to content being undervalue, or my reel didn’t portray what is possible when having me. III – Pattern your video after those you want to be like, but then take it to another level! Every great promo video/demo reel tells a story. It catches you right away with a problem needing to be solved, how it relates to you, and why they are the solution. If you can create this in a video then you’ve got a winner. There are many ways to do this. You can ask around, seek the best out, or see if someone from the local college wants to build up their portfolio. These all work. I’ve even had my children, wife, and friends help out. My brother has helped film me for years and does a wonderful job. However, the smartest route is to save up and hire someone to help you. This adds another level of pressure for the event, and I can’t explain how often I’ve gotten to an event where I’ve hired a camera team to film and we realized the event was missing the right lighting, sound, staging was bad, backdrop was awful, etc. If you have any control over it then, more power to you – I still haven’t found the secret formula. But I know if and when I have an event with more than 200 people in the audience, chances are it will look fairly nice for the camera shot, and may even position me in a favorable light. I’m not recommending you do final edits of your video, rather suggesting you know all of the footage you have and take the time to chop around all the stuff you don’t want seen by the final editor. Oddly, an editor will literally always use that one shot that shows your belly in a way you wish had never been seen, or your hair is just not quite right in that moment, or the time you said something in a way you didn’t mean to and don’t like…so you need to go through the footage and pick what you feel is best. I didn’t know how to edit forever, so I used to write in time stamps on a Word Doc, helped the editors a lot. You also have your favorite stories, bits, routines – if you leave it to the editor they very well may think 5 things are great and you’d consider them your 5 least favorite. Happens all the time. So you need to tell them what you want. In essence, if you’ve ever hired a person to come and clean your house, you need to get the clutter off the floor before they can do the deep clean. It seems counter-intuitive, but why would you leave the house a mess and make the price of time go up with work you could have done? Get your weeds pulled before you plant the garden, do a sound check before the audience arrives, all of this stuff is the same principle. It’s not to say you’re not there for the client, however I admit I have done many events just for the video footage. Including freebies. If I know it’s going to be one heck of a show, pretty lights, big stage, and they for whatever reason have no money, I get permission to bring the film crew, and then I nail the presentation for amazing footage. 2-3 minute sizzle reel: Which showcases everything that is great about you and what you bring for the client. Too often all the bells and whistles are over-emphasized here, so don’t do too many transitions that look like your editor just discovered how to zoom in, out, and spin around. Make it cool, nice, etc, but it needs to tell the story of why you’re needed and how you’re their only solution. Then a few hits from testimonials of others, either written or video, quick view of clients you’ve worked for, and a few decent length chunks (5-10 sec) of you saying great things well. 5+ min. profile: You want this to be a bit more in depth, more personal, more interview style mixed with shots of you in the home and on the stage. This sells the buyer on you as a person and on your character more than simply the lights of the stage. This is a very hard one to get right but seems to be the norm lately in our social media world. 10+ min sample: This sample can literally be a 25 minute speech you gave in it’s complete form. Very few will take the time to watch it, but the client always likes knowing it’s an option to see nearly exactly what you’ll bring to their event. Once I finally put my entire speech on my web site I have since landed more full fees than have been landed with my demo/sizzle reel and profile videos combined. The best launches of videos I’ve seen are only after that Speaker/Entertainer has sent the edited, almost done versions, out to their closest 5 friends in the business for real serious, thoughtful, even potentially hurtful edits. If you’re really gutsy you’ll send it to a few of the bookers, bureaus, agents who have blown you off, and ask their opinion before it becomes launched. I’ve completely redone an entire video, after spending 5-figures, following the critiques that were essential to my successful video launch, and spent the money again to get it right. Painful but necessary. I have found that pricing on videos vary, just like anything. Pay Denny’s prices and you get a Denny’s meal. But also you don’t need to buy a Rolls Royce to drive around looking pretty. $2,500 can get you a decent reel. $5,000 can get you a great editor if you send the footage you’ve captured to them. $10,000-15,000 will get you all of the options I’ve laid out above and then some. More than $15,000 and you should run for the hills. They’re trying to swindle you and you may as well send that money to the dude who’s been blackmailing you that he has your old email password and is going to show the world what you’ve been looking at online…. Great question and topic, Sydne! 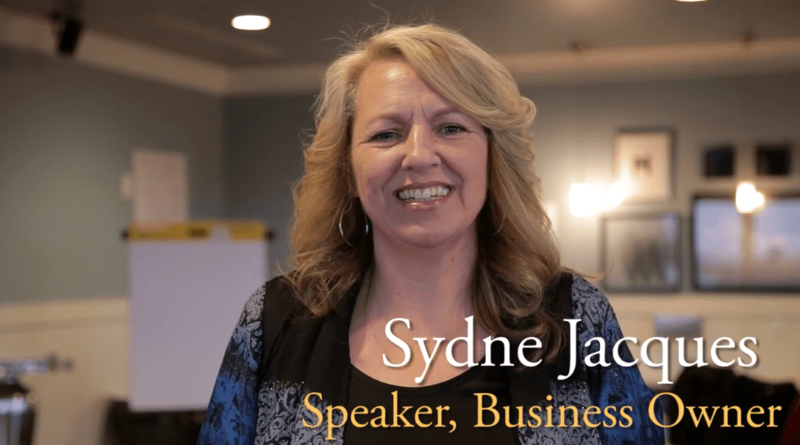 And for real I’d like to thank Sydne for being an amazing support in my career, she attended my first ever training and has stuck by my side during my transition from Entertainer to Speaker like few have, and here’s that video from nearly 2 years ago! Next week I will share with you a training opportunity that only a few can attend, by a speaker who was able to land $250,000 in bookings without referrals, word of mouth, only his effort in cold call sales. Incredible! As always, Jason delivers BIG TIME! I really appreciate the timing of this, I have an appointment with my video editor in 2 weeks so I am hungry for this advice. Thanks for the time you took to produce such an in-depth, quality piece. I appreciate it! Thank you for the question and for the example you are at making your career so successful!